A Greater Darkness is in the world. It is unlike anything that humanity has ever faced before. Contact has begun, but it is Contact with a dark purpose. In addition, we are facing converging waves of great change—climate change, environmental deterioration, diminishing food and energy resources and the growing threat of conflict and war. Wouldn't you like to be part of this Greater Community? Remember, this is a "genuine" revelation. How do we know that it's genuine? Summers says he knows it because he has no doubts. That might be good enough for him, but shouldn't the rest of us be given some sort of sign that he's not just making up this stuff? Others, he says, will know it's genuine if they just read the messages; they will recognize "the Knowledge" and "know that I am being genuine with you.” What if we won't bother to read the messages because we're pretty confident that Summers is either an outright spiritual fraud or another in a long line of deluded people claiming to get messages from beyond? What if we do read the 9,000 pages and come away convinced that Summers is deranged and just passing on his fantasies mixed in with messages religious people like to hear, especially religious people with deep concerns about UFOs and government conspiracies to keep us in the dark? I guess those of us who are skeptical of Summers's claim that he is a messenger from some god are doomed. Maybe the evil aliens will take us up in some sort of negative rapture or whirlwind. Who knows? But we can be sure we will not be invited to be part of the Greater Community and its bounty of intelligence, wisdom, joy, and all things great and good. I have been unable to find out anything of interest about Summers's life before he started claiming he was a prophet. One source, Bret Lueder, has posted an undated interview he did with Summers. The only bit of personal biography revealed, though, is that Summers was born on January 28th, 1949; was raised as an Episcopalian in Berkeley, California; and later moved to Colorado. He says he was just living his life as a spiritual teacher in California as a pioneer of Inner Guidance Training, making music recordings and being a loving husband and father when he was contacted by what he calls the Angelic Presence. He says that he has since moved to Colorado and has written 20 books from this presence with his first book, Steps to Knowledge, being given to him for transcription over a 12-day period in December of ’89. The Inner Guidance Training referred to was trademarked by Summers in 1990 and described as some sort of educational service that provides "spiritual instruction and text and manuals used therewith." The rest of the interview is about the Way of Knowledge ("ancient spiritual teaching that focuses on the greater intelligence that we all possess that resides beneath our analytical and thinking minds") and his book about UFOs and aliens, good and bad. I couldn't think of a better description for this "greater intelligence" than that it lurks beneath our thinking minds. The good aliens are described in the title of his book: Allies of Humanity. The bottom line? Is Summers a fraud or deluded? Personally, I lean toward the latter, given the years that he has zealously devoted to writing these messages and spreading his words. What about the possibility that he is genuinely getting messages from some god via some sort of angelic presence? Well, the likelihood that there are any gods or angels is negligible, despite the almost universal superstition regarding spirits and invisible beings, both good and evil. So, the likelihood that the messages Summers gets are from a spirit is on par with the likelihood that James Van Praagh, John Edward, or the thousands of other "spiritual mediums" are getting genuine messages from dead people's spirits. Will some people find comfort and solace in the messages of Summers? Of course. Some may even find them to be inspiring. Does that mean they were genuine? No. Is the Society for the New Message from God, founded by Summers in 1992, a cult? I don't know, but one sure sign those considering joining Summers should look for is this: are you being encouraged to separate yourself from your family and friends who don't accept the authenticity of the prophet? If you are, run for the exit. Whatever comfort you are given by the charisma, joy, love, caring, and seeming wisdom of Summers or others trying to recruit you, it will not last, it is not genuine, and you will eventually regret the day you gave your mind over to a charlatan. In any case, I'd be wary of someone who says that everything happens according to some god's will, but many people aren't living according to the plan; so, the god chose me to reveal to the people how to get back on track. Frankly, the revelation shouldn't be necessary if everything happens according to the god's will. I'd also wonder why any god would pick an Episcopalian from Berkeley to be the New Messenger. Did the god pick him at random? Was the choice meant to reveal the god's sense of humor? Do we have to read his messages in reverse to get the real "truth"? Is there a hidden code in the messages that only special people can figure out? In the end, I'm left bewildered and somewhat saddened by contemplating what kind of void Mr. Summers must fill to have followers around the globe. See also Raël, Edmund Taurai, Urantia Book, A Course in Miracles, doomsday cults, and Sai Baba. 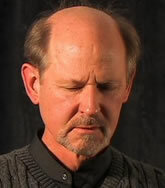 Marshall Vian Summers in Wikipedia.